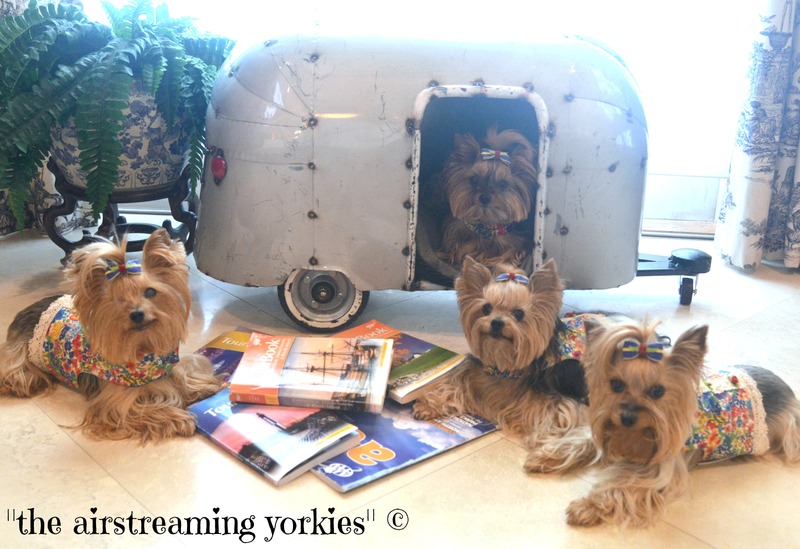 It takes a LONG TIME to map out a TWO MONTH-LONG trip, especially when it involves four adorable yorkies! First the parents need to decide WHERE they want to go, and apparently it is EVERYWHERE. Once the cities are decided on, we must find campsites that are up to snuff. Mummy is mighty particular about our campsites… they need to be safe for us to take walks and enjoy our site, without feeling too cramped. Sometimes we run into limitations with the NUMBER of doggies that are allowed at a campsite. The magic number is usually TWO. Daddy will often call the campground and explain how well behaved we are, and we are very small doggies, and we are almost ALWAYS with our parents… then he asks if an exception might be made for the FOUR of us. Almost always they say yes, but explain that if they get any “noise complaints” then we will have to leave. We NEVER make noise so Mummy knows that won’t be a problem… well, unless Katie gets wound up!!! After the reservations are all made, we need to start packing the AIRSTREAM, but that doesn’t usually start until about 2 weeks before we are due to leave on these EPIC TRIPS. Until then, we are getting excited just thinking about all we’ll be doing as we head up the EASTERN side of the USA this summer… all the way to MAINE. Mummy said that we’ll even get to have some LOBSTER once we get there! Did I mention how EXCITED we are? In a few months, we will make a post about the places where we plan to stop as we head up north… if you happen to be in the area, we would love to try and meet up with you… so please make sure to contact us so that we can write your information down! If we don’t have your info, we have no way to contact you. One of the best parts of our trips has been meeting our internet friends IN PERSON. What are YOUR vacation plans for this summer? We want to hear all about it and the things you are most excited to see. We won’t be crossing into Canada this year. That is a lovely area though!!! Will be watching for updates. Sounds exciting. What a fun trip! Looking forward to your summer adventures! We are still trying to get things settled with our little house so no trips for us this summer-so we will live our adventures through your eyes! Maine is wonderful. Especially the lobsters! Hi Millie sounds like a wonderful trip looking forward to all your postings. My friend and I may make a trip to Vegas. Sounds lovely. We’re not going anywhere this summer as we were over in New Zealand at the start of the yr to spend sometime with my sister who is very poorly. Hi Millie! It is going to be so exciting following your vacation adventures again this year. I really enjoyed seeing your posts last year. I hope you all have a wonderful time. Thank you very much! We can’t wait to get started but we don’t leave until the end of June so we still have a while to get ready! We are going to Jackson Hole in May. Very excited!! So glad to see you sweet girls again ,have missed your posts . I know you will have a wonderful time on your new adventure and can’t wait to follow you on your trip ! 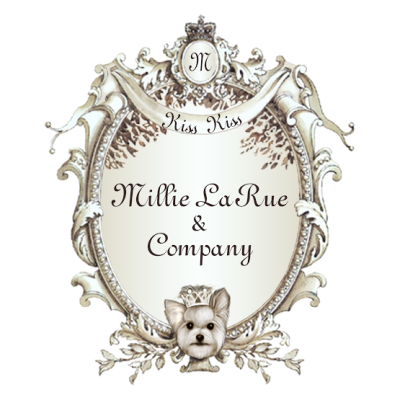 Hey Beautiful Furbabies, will be very excited to follow your on your trip. Love you Beautiful Furbabies. Wow that sounds like another great trip. We went to see the Fall Colors this pass October and November in our RV with Miss Daisy, we loved it we had Maine Lobster too. As you know we live in Southern California, so it was a very long trip, we visited family on the way to and from. As you know Miss Daisy crossed the Rainbow Bridge on January 20th at the age of 14 yrs 11 months. So traveling will never to the same, with that said we will be Cruising to Alaska in September with our BFF. So excited about your upcoming trip!!! On the east coast, I have been as far north as Pittsburgh, PA. looking forward to following you!! Kiss Kiss!!! Love you girls, and daddy too!!! We are excited too! We have never been to Maine and we are looking forward to the LOBSTER FEAST! 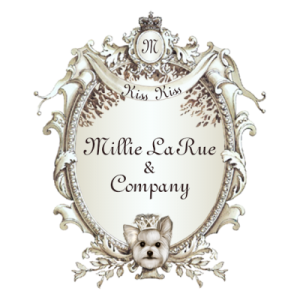 Millie, I’m so excited about your trip!! All the pictures mummy shares make me feel like I’m right there with you, seeing all the beautiful and interesting places. ( I still think my favorite is when all you girls and your daddy were “running the bases” at the Field of Dreams) I think I’ve shown that video to everyone I know, lol lol !! The only vacation plans I have for the summer are back to the beach. I usually go to Holden Beach, not much happening there, but its pretty and peaceful!! Love to you and your family!! I’m so excited for you wish I was going along. The closest we will be getting is mid- Maine along the coast. We win’t be going into Canada this year. What fun y’all are going to have!!!!! Our Mommy has a question Millie, how did you and your sisters learn to stay quiet? One of us is always quiet but one of us, whom shall remain nameless, is a volcano of excitement that explodes from her mouth constantly!!!!!!! Mummy always shhhushes us when we start barking but Katie doesn’t always listen. Tulip gets a little over-excited at times too! 😂😂😂 of course we ALL bark sometimes but Mummy doesn’t allow us to just stand around yapping. We just never started doing that. Now… when a stranger rings the doorbell… all bets are OFF!!! And we’re having the same issues. We have 7 little yorkies and so many campgrounds limit the number! Which sort of defeats the whole purpose in getting a camper! I don’t want to have to worry about who takes and who doesn’t takes little doggies and how many! It’s very frustrating!! We have found that KOA campgrounds usually dont have limits and most are pretty nice. Good Sams is another family friendly one. No summer vacation plans but I’m taking Lulu to the CYL Jamboree the first week in May. We will miss you this year! Have a great trip. We will not be in Hershey but we wil be NEAR THERE… just not sure exactly where at this moment. We should have the trip finalized by next week. We would love to see you again!!! Love u all have a blest weekend!!!!!!! Sounds like your trip plans are progressing. Excited to just hear about the planning. So excited to watch for your post. We live in Chantilly Va 25 miles from DC. Will be watching for your iternerary. I hope you will be passing through in Connecticut…..would love to meet up. Mystic, CT is very nice. The babies can go to Old Mystic Village….some shops will have restrictions though. Connecticut has so many rules . There is a furbaby shop they can go in and my babies were welcomed in the Honey shop. Essex, CT is lovely too. We are going to visit Mystic!!!! Is that where you live??? We aren’t staying there but we have that city on our places to visit!! Pleasecheck back to see our posted schedule so we can meet you!! !